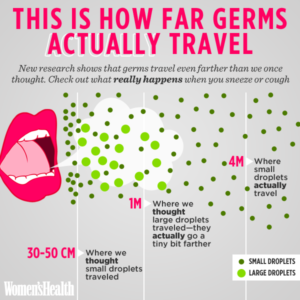 You'd be surprised at what sneezing on a plane can actually do! As a traveler who just took four planes this past week I’m finding myself feeling a little under the weather now that I have returned home. While on the plane I heard many people coughing and sneezing on the planes. I was left wondering what happens when someone sneezes on a plane. How far can those particles travel that are expelled from the mouth and nose? To find the answer to this I was directed to a video produced by ANSYS found at https://www.youtube.com/watch?v=ZlH60lm3mz0. ANSYS is a global company that uses math and science to produce visual simulations of events to give the health and aerospace world a better understand on how diseases are spread on airplanes. These health and aerospace organizations can then use this data to implement new systems and precautions to keep passengers safe and healthy while traveling. As you can see from the video there really is no safe distance to stay from a sneezing passenger on a plane. When one sneezes on a plane those particles go everywhere in that cabin. This is due to the air circulating from the overhead fans to the lower vents. While of course the people directly near the sneezer are most at risk for catching infection everyone should take precautions. Keep your overhead vent off. In addition some have said that an increase in vitamin c and a personal ion system could be helpful in reducing your personal chances of infections. 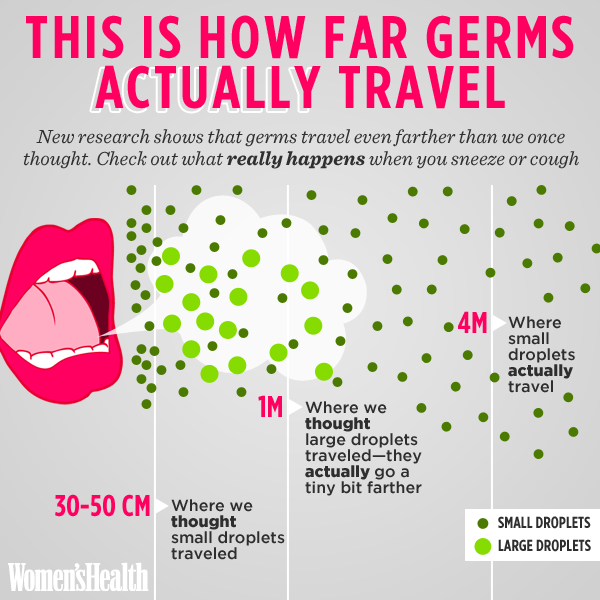 If you are the sneezer and you know you have a disease such as the flu you probably shouldn’t be traveling. However, if you think it is just a simple cold there are some things that you can do to keep your fellow passengers healthy. As with in all situations that you find yourself sneezing, if you sneeze on a plane cover your mouth with the inside of your elbow. Bring hand sanitizer and use it. Though none of these steps can guarantee you won’t spread germs or get them they will lessen your chances.